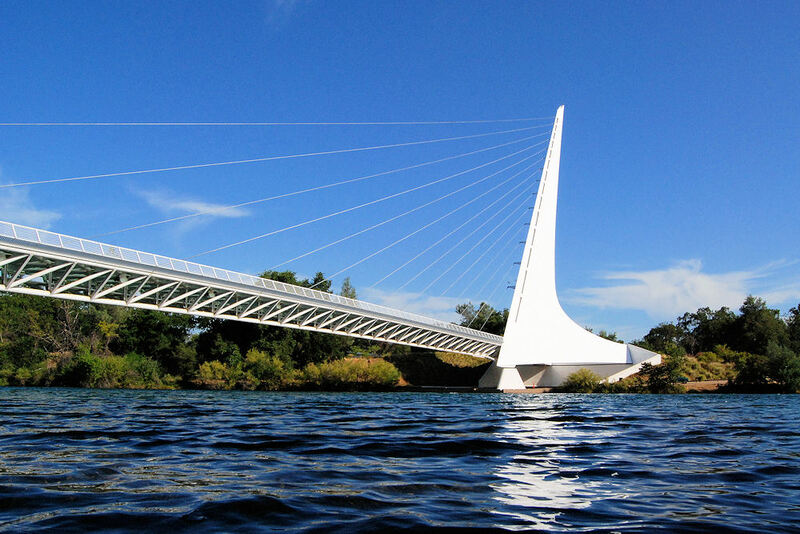 Having your Wedding at the Sundial Bridge in Redding, California with DJ Mike Flanagan makes for a classy bridal event! It’s not just a place with a nice view, it actually makes a great wedding venue! Underneath the bridge there is a large area to accommodate many guests for your wedding and reception. Security guards are provided to keep the public out of your private space. You are allowed to bring alcohol into the reception area as well. The Views are fantastic and it’s a wonderful outdoors area, staying cool in the often hot Redding summers. However, planning is left up entirely to the wedding party and all the responsibilities that entails including rentals, catering, tables, chairs, decorations, etc. Having grown up in Redding, Dj Mike Flanagan has performed weddings, receptions and many a private party at Turtle Bay. He knows all the secrets for the perfect event and has worked with Turtle Bay staff and other special event vendors in Shasta County. The perfect party planning starts with a good team of special event vendors and coordinators, especially skilled in Wedding and Receptions, where DJ Mike Flanagan has more than 15 years of skill.